Lincoln County Community Rights is an organization of concerned residents which has passed a citizens’ initiative to ban aerial spraying (spraying from airplane or helicopter) of pesticides* in Lincoln County, OR. Protect Our Children Our Water, and Our Rights. Lincoln County Community Rights (LCCR) is a public benefit organization that seeks to empower people to exercise their right to local community self-government in matters that pertain to their fundamental rights, their natural environment, their quality of life, their health and their safety. The organization was founded three and a half years ago, in response to the harm being done by aerial pesticide spraying to the county’s people and wildlife. Lincoln County is covered with forests which are predominantly industrial. Massive amounts of pesticides (the term includes herbicide, pesticide, fungicide, et al) are sprayed aerially on clear-cuts to kill vegetation competing with the growth of Douglas fir cash crops. Given the harms that people and ecosystems suffer from this practice, harms to which an endless succession of independent studies bear witness, and given the government’s refusal to prohibit and even to limit the practice, LCCR decided that the people should choose whether or not to ban aerial pesticide spraying in the county. The group drafted an ordinance to this effect, requesting assistance from the Community Environmental Legal Defense Fund (for more information on the latter, please visit CELDF.org). LCCR’s political committee, Citizens for a Healthy County (CHC), filed the ordinance with the Lincoln County Clerk. The ordinance became a Citizen’s Initiative after it was approved by the County government for compliance with the state mandated single-subject and full-text requirements. CHC gathered the required number of signatures of public endorsement, and the initiative was placed on the ballot for the May 16, 2017 election as Measure 21-177. Measure 21-177 won that election by a margin of 61 votes, making Lincoln County the first county in the United States to ban aerial pesticide spraying through the vote of the people. The May 16 election marked completion of the political work assigned to CHC for this ordinance, and the work to be done from here on is once again the responsibility of LCCR. Two parties have filed a lawsuit against the County and County Clerk, challenging the legality of Measure 21-177 and seeking to overturn the ban on aerial pesticide spraying which has now become law in Lincoln County. LCCR has filed to intervene in the lawsuit to defend the vote of the people of Lincoln County, through which they affirmed the priority of their right to be free from contamination by aerial pesticide spraying above the claimed right of corporations to aerially spray pesticides for profit. This google earth photo shows a 2013 view of the Siletz water shed. To learn more about the ordinance and the campaign. Facebook page or Lincoln County Community Rights. Why do we need the Ordinance? The dangers of aerial pesticide spraying to the health of people, wildlife, and ecosystems have been well-documented through numerous credited studies. Even though this harmful practice was stopped on federal forests 30 years ago, aerial spraying has increased massively over state and private forests in Oregon. Between 2000-2013 the Siletz River watershed, which supplies drinking water to Newport, Toledo and Siletz, lost 50,000 acres of mature forest- all were sprayed with a dangerous chemical cocktail. 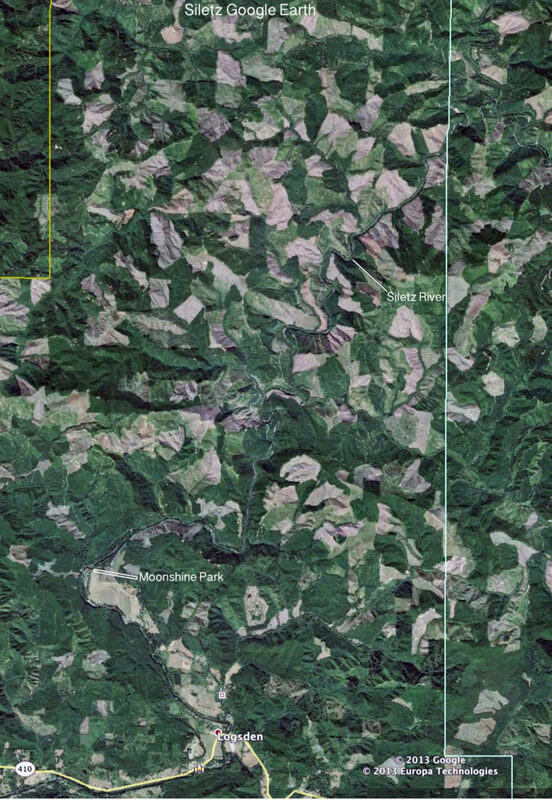 Virtually every clearcut on private and state lands represents two to four cycles of aerial spraying. 90% of Lincoln County is covered by forests, most of which are managed as private industrial forests. The reality is that it is happening all around us. If you still have more questions contact us we are real local people in your community and we are here to help you understand all of this. spread the word. We are therefore asking for your donation to help us reach our goal. ▪ Attend LCCR meetings and workshops. Meetings are normally held Thursday evenings in the rear conference room of the Newport Umpqua Bank, from 6:30 to 8:30 p.m. Contact us prior to coming to be informed of occasional changes in location and time. ▪ Join our e-mail list for updates on our work and related information. Carol Van Strum, resident of the Five Rivers area of Lincoln County, is the author of A Bitter Fog. Her book is a poignant documentary about the suffering of herself, her family and neighbors and their land which occurred from poisons sprayed on them from the air in the 1980’s …and her research that followed affirming the threats to human and environmental health from industrial profiteering. Drift was created in the Winter of 2015 by students enrolled in the Environmental Leadership Program at the University of Oregon. This film was created in collaboration with residents of Gold Beach, Oregon after a terrible incident of pesticide contamination of a community. 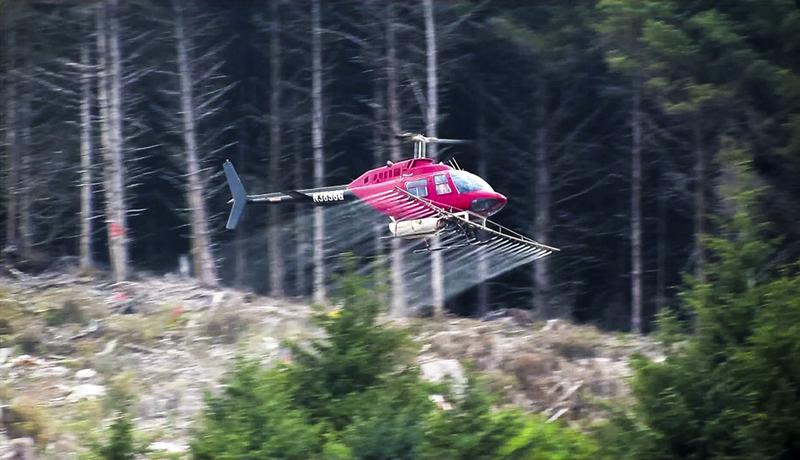 This film examines the implications of statewide use of aerial herbicide spray on private timberland. News Story about herbicide exposure, from Oregon Public Broadcasting. Here is a story of pesticide drift from a forester’s prospective. Timber companies in Oregon routinely spray their forest lands with hazardous chemicals such as Glyphosate, Atrazine and 2,4-D (an ingredient in Agent Orange) to prevent competitive plant growth after a clear-cut. Due to drift from aerial spraying these chemicals “trespass”, contaminating surface and groundwater, livestock, crops, and people. Spraying by ground and air has increased 17% since 2010, continuing to threaten wildlife, our precious watersheds, and the health of every Oregonian. Hope in the Oregon Legislature all but died due to the dominance of corporate-paid lobbyists. Forest spraying regulation leaves only a worthless 60ft buffer around homes and schools. The Right to Farm and Forest Act shields timber companies against liability for the harm they cause as long as they are following what are “generally-accepted practices” including the aerial spraying of herbicides near populated areas. 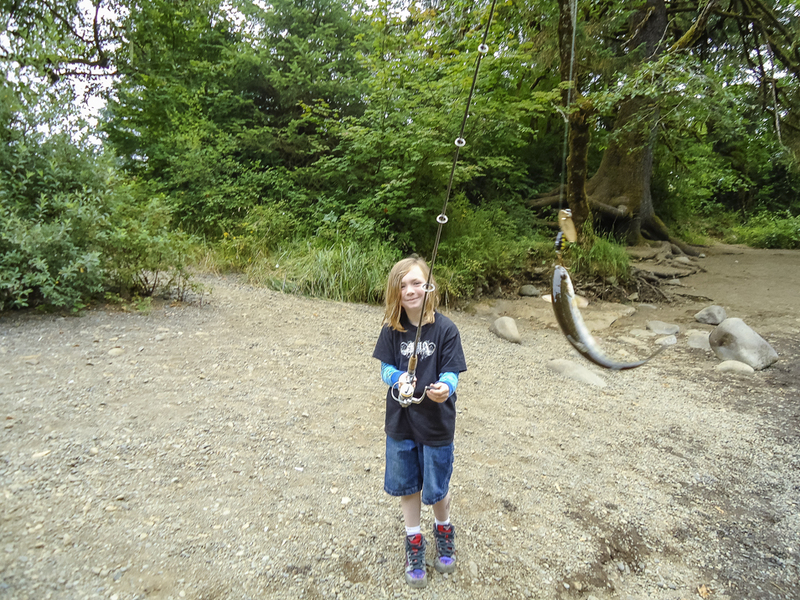 Because of this Act, Oregonians have no legal recourse to sue timber companies, or the State, for the impact on the health of community members or damage to their property. Our work benefits from the assistance of The Community Environmental Legal Defense Fund (CELDF), which works with communities throughout the country to protect the health, safety, and welfare of their residents and the natural environment, and to establish environmental and economic sustainability. Timberland herbicide spraying sickens a community — a sad news story from Gold Beach Oregon. This is the story of a small community like ours that was sprayed from a helicopter right in the middle of the day. Such “accidents” are happening more and more around Oregon. News Story about herbicide exposure. There are many news stories about the issue here in Oregon. Here is a story of pesticide drift from a forester’s prospective. spread the word. We are therefore asking for your donation to help us reach our goal. We need to tell everyone to VOTE YES ON MEASURE 21-177! ▪ Volunteer to help out on the campaign. We need a lot of people power to have our voice heard this next election. ▪ Support/endorse The Freedom from Aerially Sprayed Pesticides Ordinance of Lincoln County. For information on Community Rights, go to: www.celdf.org and watch Youtube videos of inspiring talks by Attorney Thomas Linzey, co-founder of the Community Rights movement. *The sources for these facts are listed in our special reference handout. We are a group of concerned citizens that feel the regulatory system used to approve or reject projects has been set up to suit the needs of corporations, and to keep communities from being Green, Sustainable, and Resilient in the face of global weather changes. We want to make Lincoln County a leader in a new, sustainable economy, based on our chosen long-term goals for our county, not on a corporate agenda focused on short-term profit at whatever cost. We are part of a state-wide network of groups that work to protect the right of communities to decide how they want to develop. Community Rights Lincoln County and the state-wide network are backed by CELDF, a non-profit organization that assists communities nation-wide in their efforts to achieve legal implementation of their decisions at the community, city, or county level. Local Governments are subject to preemption of the will of the people by State Governments, which in turn are subject to preemption of their decisions by the Federal government. The Federal Government has laws that promote and protect commerce, making it extremely difficult for communities to have a say about what corporate resource extraction, export, infrastructure, industrial, and agricultural projects they want or don’t want to welcome in their surroundings. Industry lobbyists, funded by corporate interests, work to dilute environmental and other protective regulations in order to ensure that commercial and industrial interests are protected over the most basic rights of the people. These laws and rules have been in effect for a long time, and are at least partially embedded in our constitution. Successive rulings issued by the Supreme Court over time have given more and more power to corporations, and the latest of these, known as “Citizens United” has given corporations, who gained the status of persons more than a century ago, the right to spend limitless amounts of money on political campaigns, equating that right to freedom of speech, guaranteed by the constitution. Oregon is a Home Rule state. This means that we legally have the right to make decisions at the local level. We believe that it is we the people who must right the wrongs that have been incorporated into our laws over time, including some that were embedded into the government created by our founding fathers, who believed that the purpose of government was to protect the opulent few against the power of the dispossessed majority. We cannot remain silent. We cannot acquiesce to having our basic rights suppressed by the bloated power of corporations that has spread over our democracy like a cancerous growth. We must raise our voices in our own communities, in the context of the outrages that corporate power commits in each. Today we must raise our voices. We have to develop a set of criteria by which we can judge what projects are good for the long-term economic health of our community and what projects we must vehemently reject. Such criteria must consider many aspects that are central to our well-being and to that of our environment, aspects that go way beyond monetary considerations. Coos Bay is an example of a community that did not develop those criteria and acquiesced to becoming a raw log export port. The coastline around its once beautiful bay has become industrialized and barren of vegetation. The tourist trade that once flourished on its bay front has withered and given way to stockpiles of logs and warehouses. Let us get to work now to prevent Newport from going the route of Coos Bay. If you wish to Donate to our group please contact us. We are always in need of Support both financial and volunteer.